Just a suggestion for you. 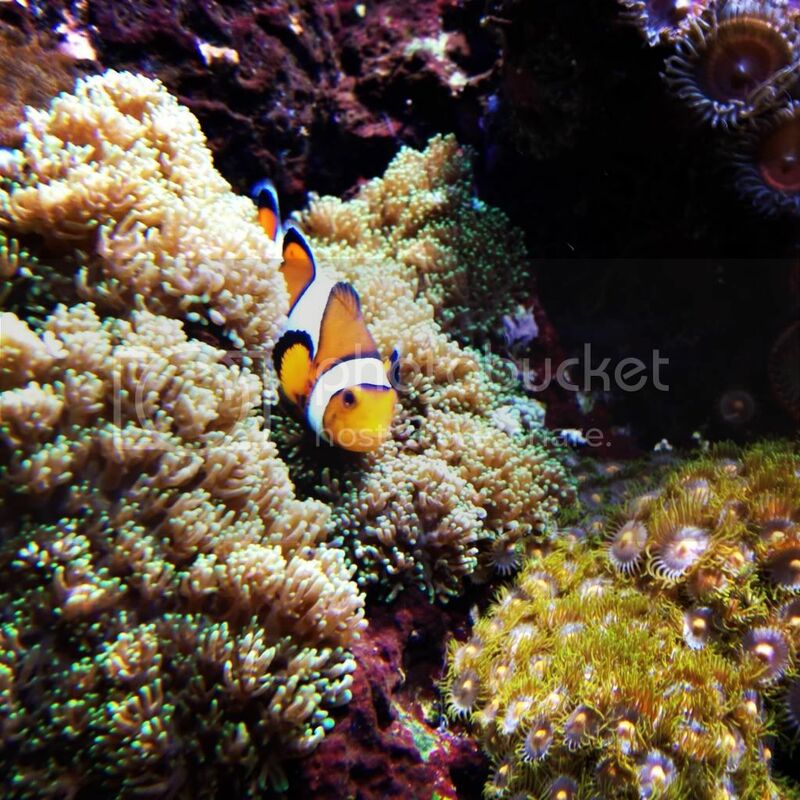 I believe Tapatalk downconverts the pics and lowers the resolution. 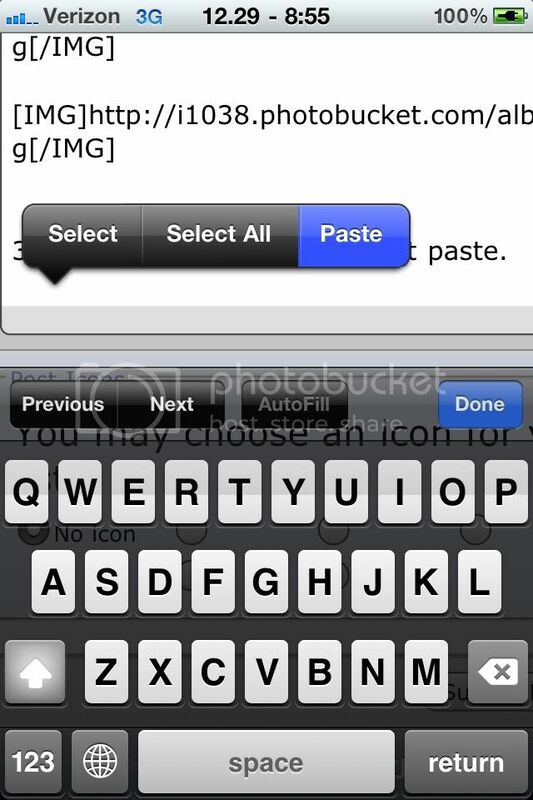 Get the photobucket app on the App store it's free. 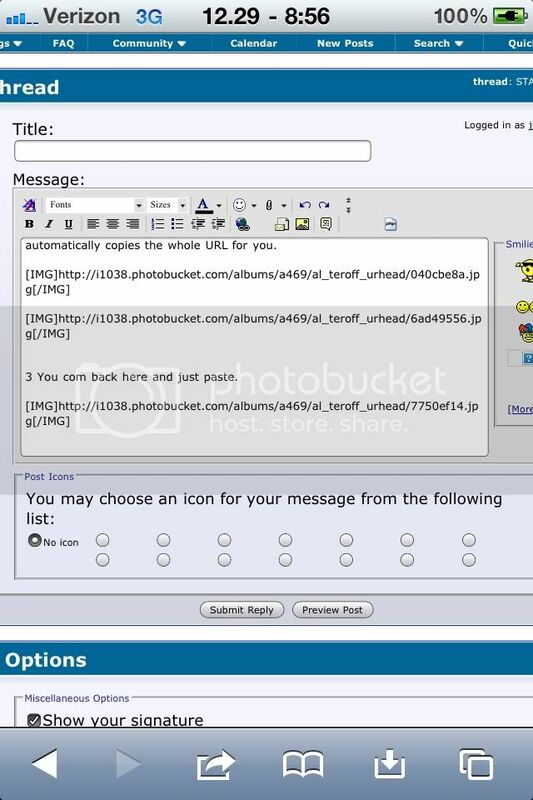 You can take pics and upload them to photobucket. 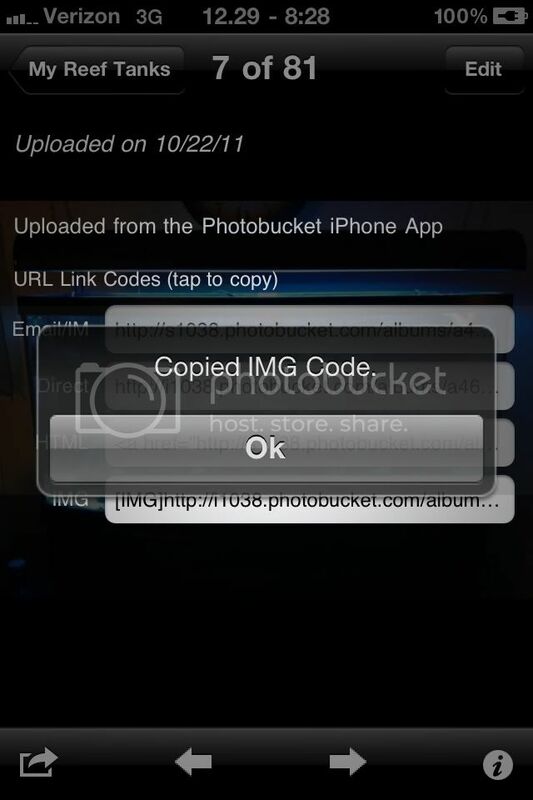 Then instead of attaching the photo you copy and paste the URL image code to your post. It'll then post in the original resolution. 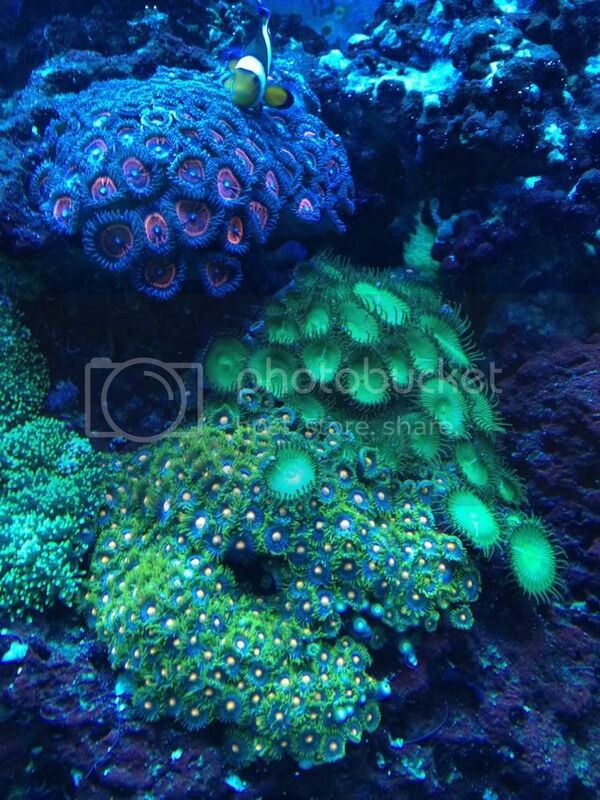 Most of the pics of my tank were taken with an iPhone 4 as well. (you might already know all this; if you do, then disregard my post). I did not know this! Well i saw how small the pic came out after the posting. Ill download photobucket and try again. Thanks! You just missed the image brackets on the outside of the URL. 1. The image will look like this on the app. Select the little "i" on the bottom right looks like this. I circled it in red. 2. Then select the last URL from the list. Circled in red. Once you touch it it automatically copies the whole URL for you. 3 You come back here and just paste. 4. If you notice all the images have the "[IMG]" in the beginning and "[/IMG]" in the end. Then you're done. I posted all these pics using this same process. Ok. Second time i used photobucket but i copied and pasted a different one. This time ill do what u said. Its strange cause when i used photobucket on the second try the pic in the post was bigger so i thought it worked. There we go! Now the pic shows. 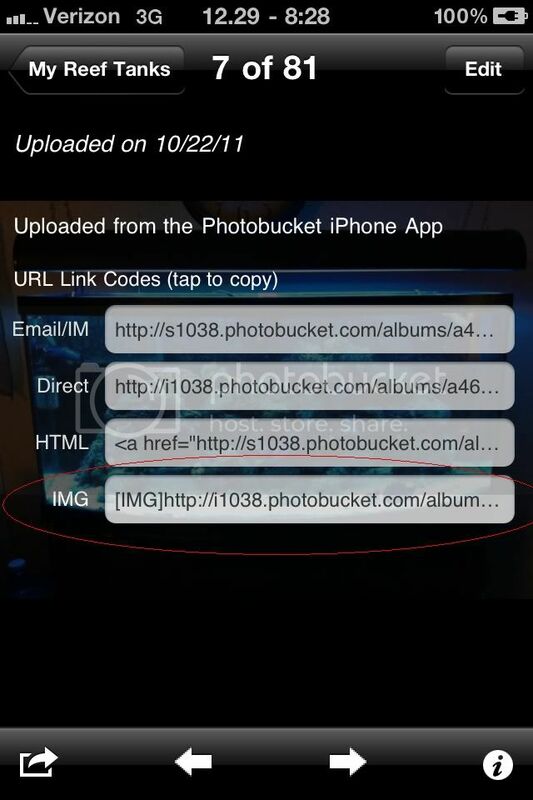 The difference between this time and the one before is that the other just shows up as a link to photbucket. Adding the "[IMG]" brackets on the ends posts the pic directly on the thread. Not sure if you're reading the thread thru Tapatalk or straight thru the website, once you see the website directly you'll see the difference. Either way you got it and it works. The tank looks really good. Love the mix of colors! Thanks! 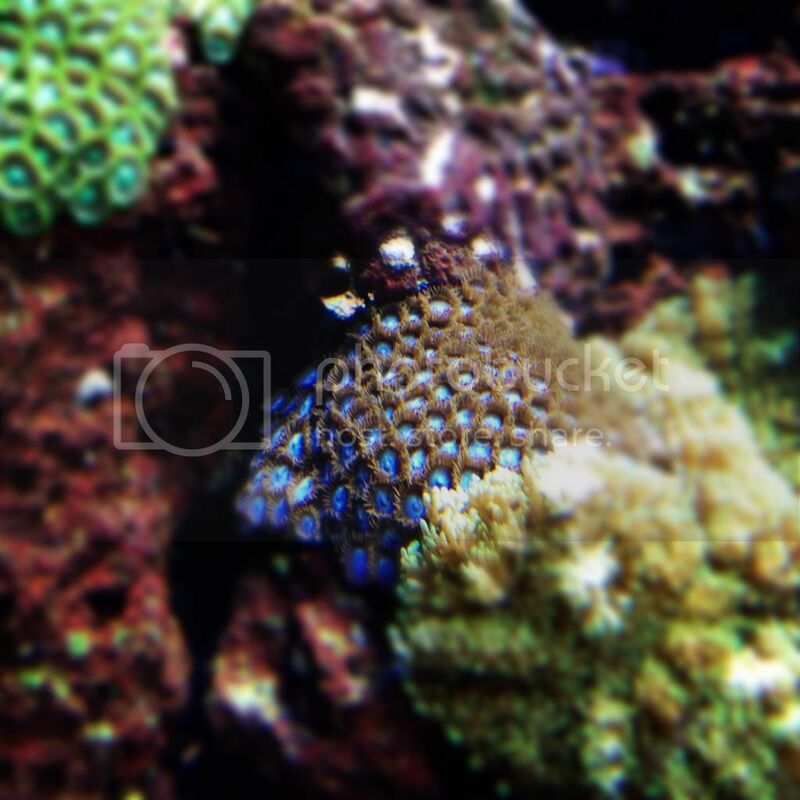 I think everyones tanks has its owners personality in it. 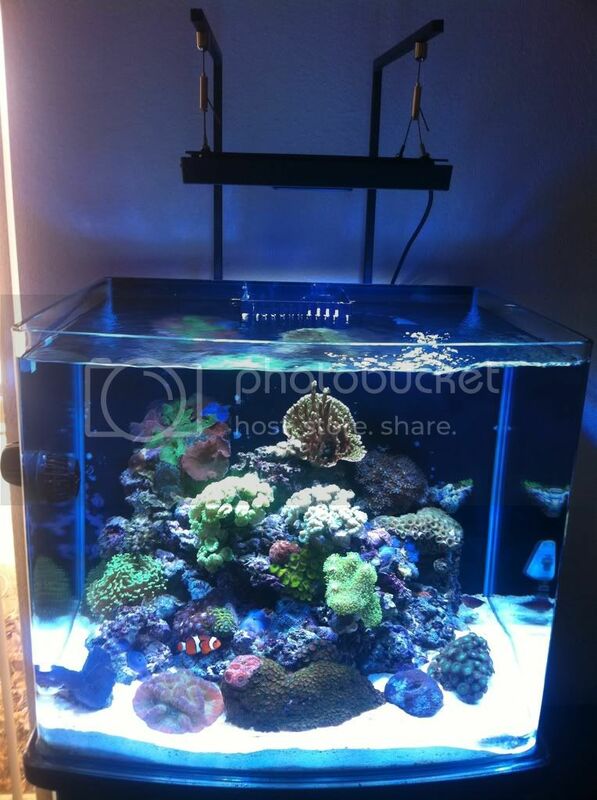 I just added the radions leds from ecotech last week and i swear my corals have already improved in color. I think its time for everyone to give an updated picture of their tanks. Dont make me start Stars show me your tank PART 3 !!! lol. if not here then on your build thread if you have one. I will post on everyones thread later if there is no updates. Tell us a bit abou it. richy that thing is nice. how long has it been set up? Thanks! The tank has been up and running since Feb '09. 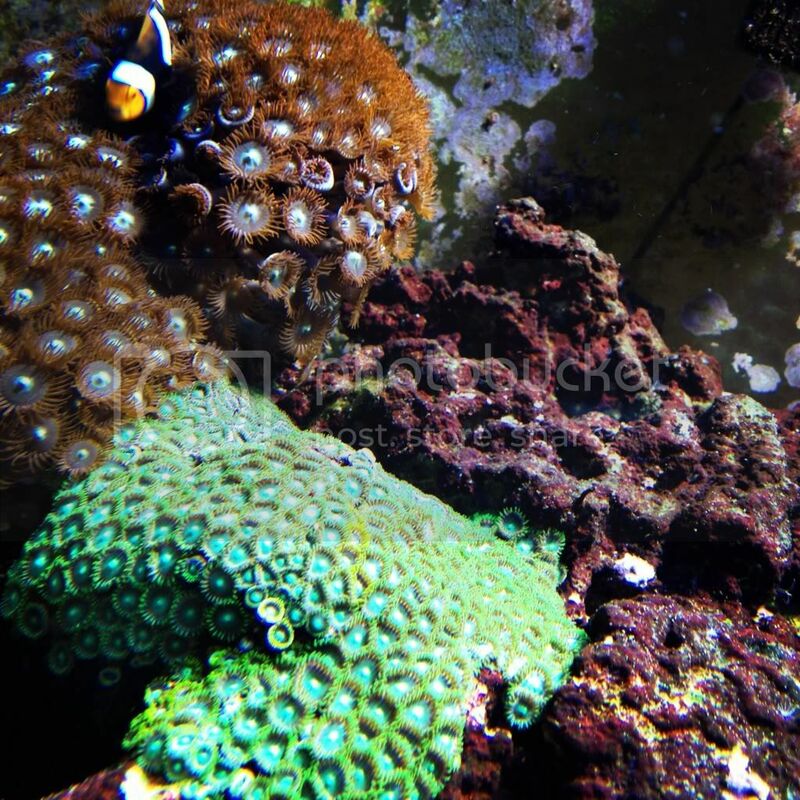 I mostly buy small corals with a few exceptions. I've had the Duncan's and candy cane the longest, they had 2-3 heads. Now the candy cane has like 15 and the Duncan close to 40. 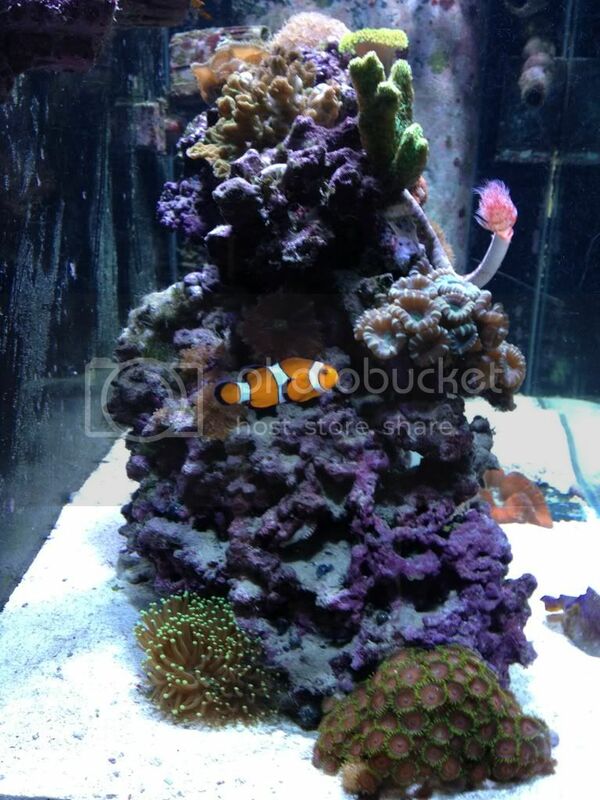 I use to have a real nice huge deresa clam and a beautiful mated clown pair but they were lost this past year. Had to go out of town for week and there was a power outage and one of the surge protectors tripped. my wife didn't notice until it was too late. 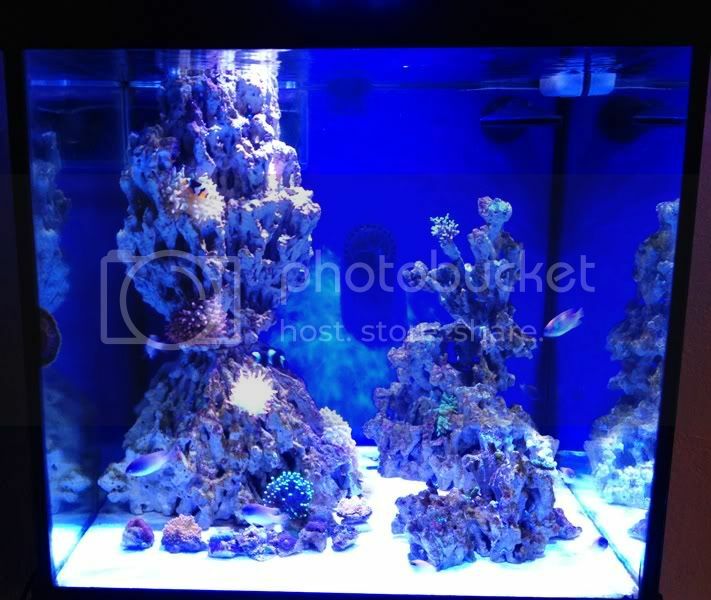 Lost all my fish, and a few corals. I run two 14k 250 MH for 6 hours and add a two part supplement once a day. Also feed Rod's food original daily. 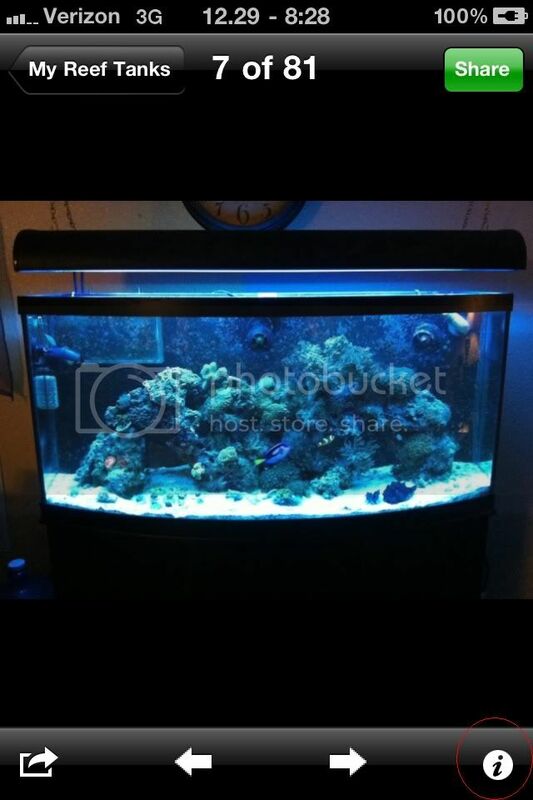 No refugium plan on adding one this year and maybe upgrade to led's. That is a very nice tank. It is always great to have new members post. Looks good mike, looks well maintained. if you go to the video click on the button that says SHARE, then click on EMBED then copy that html code that is in blue inside the box then simply paste it on here and the video will show up here directly. If you want, no worries link works also. Thanks, Ive been doing water changes every week. 5 gallons usually with my RO/DI water. I have it mixing the day before. Anyone want an Emerald Crab? Im gonna see if one of the stores will credit me or somebody on here can have it for free. Oh you can text or call me at 915 217 7086 if someone wants it. 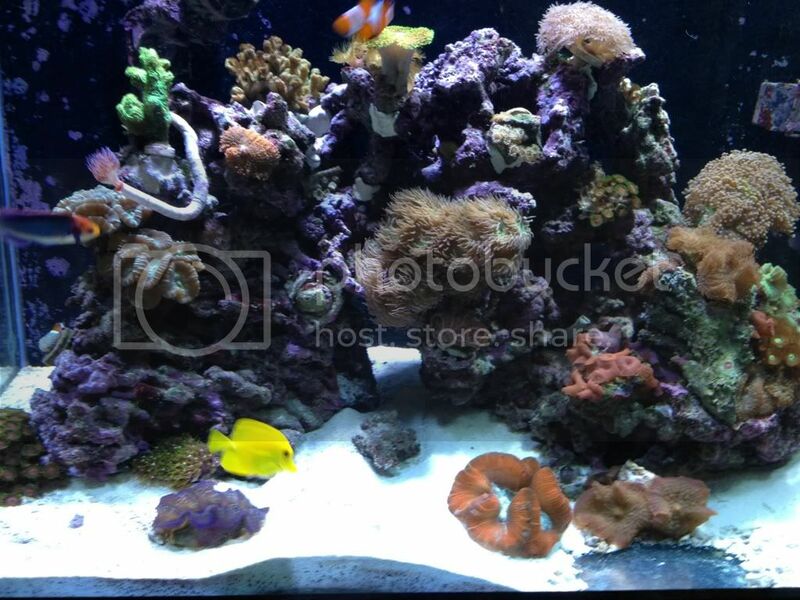 Here is my 55 gallon, A yellow tang, Coral Beauty, Yellow tail damsels, Picasso Trigger, Clown fish, Coral banded shrimp, a few brittle stars.